Splash Wines is raising £139,570 investment on Crowdcube. Capital At Risk. Splash is a U.S. direct-to-consumer wine marketer focused on cutting through the clutter of a growing, yet confusing market. Splash provides members with transparent pricing, great value, and top quality customer service. The best part? It's working. 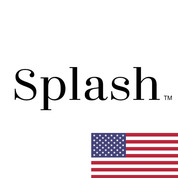 Splash has realized early stage profitability. Information The progress bar above includes £349,050 investment raised via a concurrent offering being conducted abroad. Investments are for a beneficial interest in equity in this US-based company that will be held on behalf of Investors by a Nominee. Investors agree to Investment Agreement and its accompanying exhibits in the documents section below. The Investment Agreement contains certain representations and warranties to Splash Wines Inc. See the Investment FAQ's and Legal Explanation Document for more details including exchange rate explanation. Investors should seek their own tax advice regarding investment in US securities. We acquire members at a profit (roughly 8%) enabling us to focus on customer retention. Our efforts lead us to customer satisfaction (91% on Groupon). To see the rest of the Splash Wines pitch, join now. Join to read more information about the Splash Wines team, documents, and what other investors are saying about the pitch.